This sign is ideal for educating patrons that smoking is prohibited within your custom number of feet from the sign. This sign measures 12 x 4". 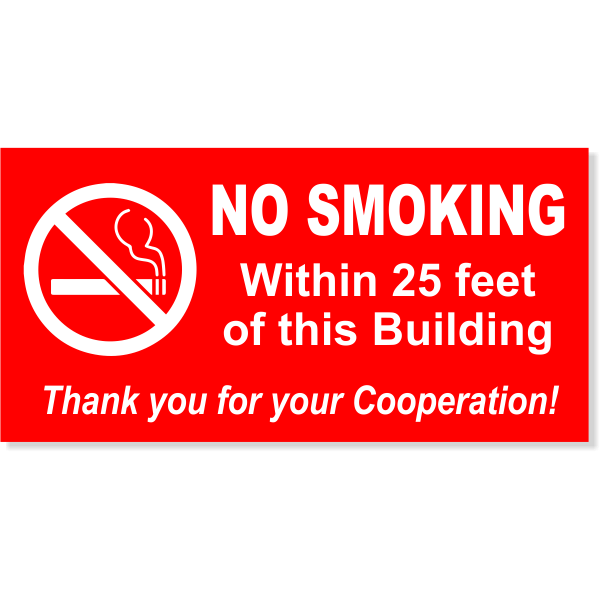 Ideal for urban centers such as New Orleans that has prohibited smoking of just about any kind, our no smoking signs is what you require to make sure your property is free of smoke! This sign measures 6: x 12".